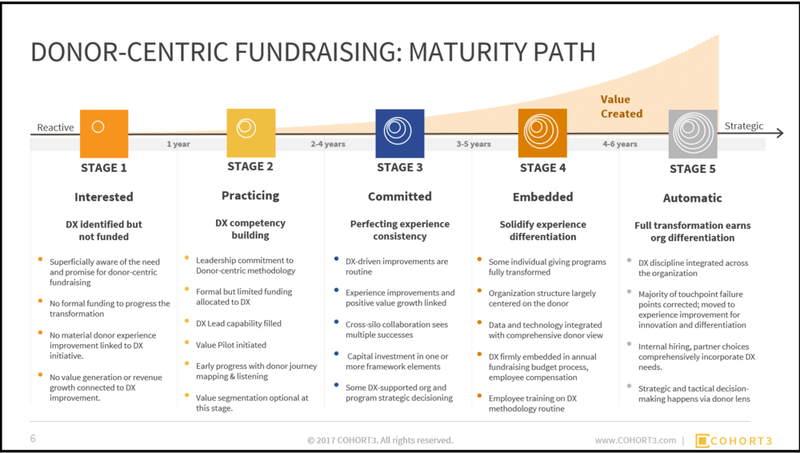 Evaluate your current state and readiness for the transformation to Donor-centric Fundraising. Discover the recommended next steps to seriously improving your donor experience, and driving more giving revenue, faster. Download the 43-page report today to discover the Donor-centric Maturity Model and calculate your own Maturity Score. Assess your organization's donor-centric maturity. Calculate your maturity score. Click here to download the COHORT3 Donor-centric Assessment Report.